With Okappy, you can easily export invoices raised to external accounting packages such as Sage Line 50, Quickbooks, Clearbooks, Kashflow and Xero. If you use Xero, check out our step-by-step guide showing how to export your invoice from our Okappy job management software to Xero accounts. First, raise an invoice. You can either raise an invoice directly from a job or raise a miscellaneous invoice. 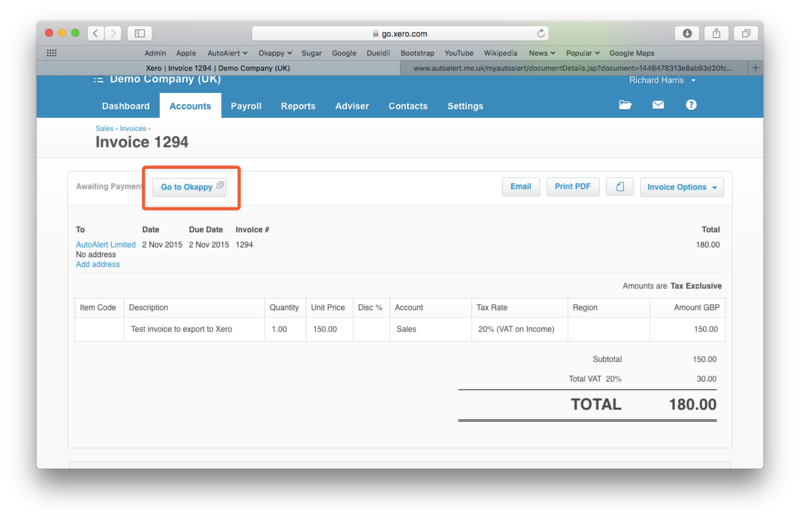 Once you have raised your invoices, scroll to the bottom of the invoice screen and click on the Xero icon ( ) to connect to Xero. You'll need to authorise Okappy in order to export your invoices to your Xero account. 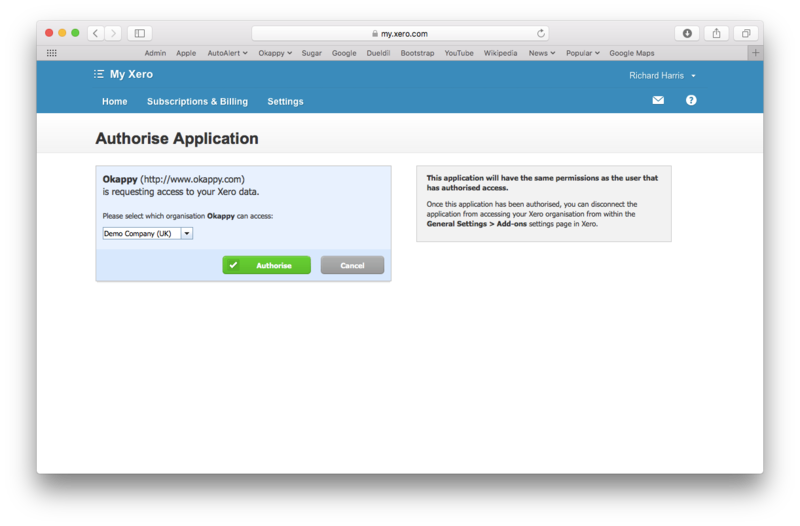 When you click 'Authorise', you'll be taken to the Xero website. Click 'Authorise' again, Xero will check your user credentials and will re-direct you back to your Okappy invoices page. Okappy is now connected to Xero. You can now export your invoices to Xero by selecting the appropriate Xero account code and Tax rate then press 'Update'. If you go back into Xero, you can see the invoice that you have imported. 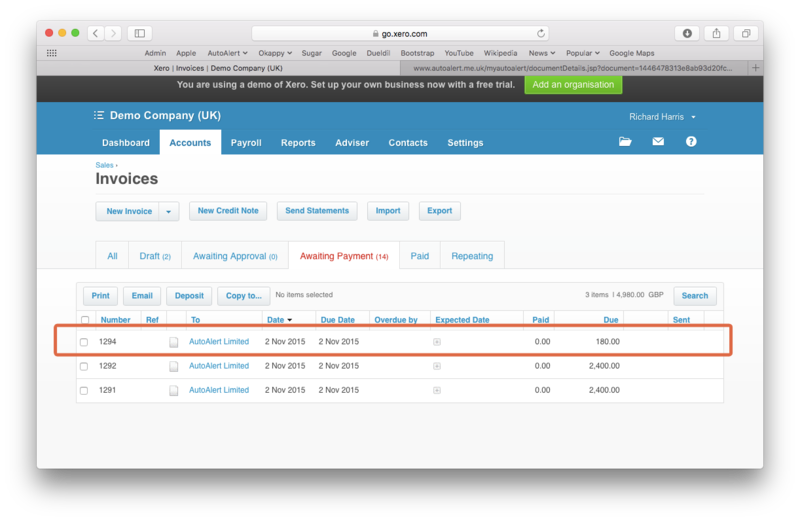 To view the invoice raised, you can view th details within Xero. 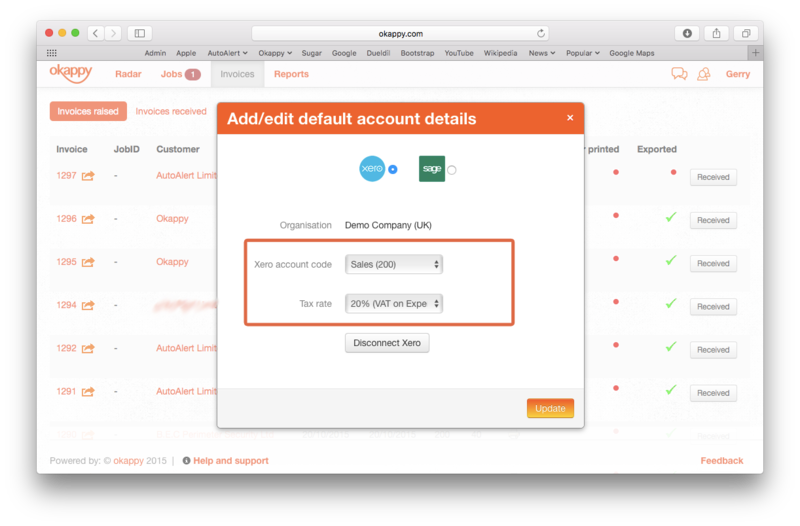 You can also easily link back to your invoices in Okappy by clicking the 'Go to Okappy' button. 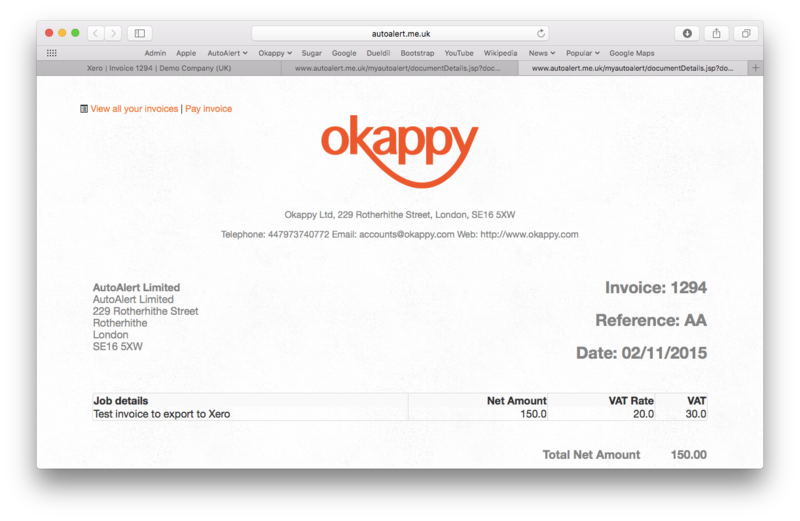 In Okappy, simply go to the invoice screen, click on the more icon ( ) and 'View invoice'. More information on Okappy Job Management.